On the go-home Raw before Summer Slam, Seth Rollins had an announcement that would change the landscape of Monday Night Raw. Rollins proclaimed that if Dolph Ziggler was going to have the "Scottish Psychopath" Drew McIntyre in his corner for their upcoming Intercontinental Championship match, then he would have a lunatic in his. The Lunatic Fringe himself, Dean Ambrose is back and is sporting an intimidating new look. Ambrose returned having bulked up, cut his hair, and wearing grey pants rather than his signature blue jeans. His in-ring style has changed as he has seemingly toned down his usual frenetic brawling style and has started incorporating scoop slams and other power moves into his arsenal. Ambrose is looking devilishly Heel-ish but has returned as a Face. 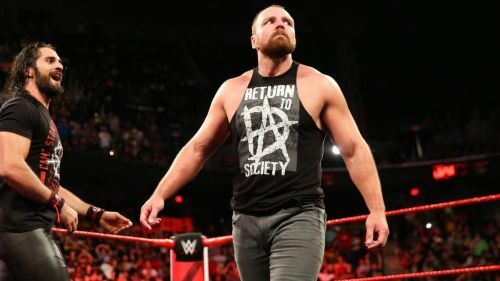 It makes since for Ambrose to be a Face for the time being as he is in the Shield, but a heel turn has to be on the horizon for the new look lunatic. Here are a few ways said heel turn could come about. 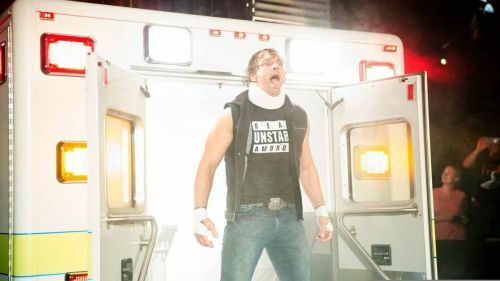 Prior to getting injured, Ambrose wasn't just unstable, he was unstoppable. The Iron Man of the WWE, Ambrose was a wrestling machine. Between March 3, 2012 and the time of his injury December 18, 2017, Ambrose had wrestled 1,054 matches. Prior to the news that Ambrose would be missing nine months due to his torn triceps tendon, Ambrose's longest break was 35 days. Ambrose can easily blame Seth Rollins for all of this. While Samoa Joe is credited for injuring Ambrose when he slammed a crate door shut on his arm, it was really getting caught in the crossfire of a Rollins suicide dive that did it. It is easy to see Ambrose snapping and turning on Rollins. Ambrose lost eight months of his career because of Rollins' reckless offense. Rollins has ended Sting's career, he has put Finn Balor on the shelf forcing the inaugural Universal Champion to vacate his title as soon as he won it, and now he has infected his own brother in arms with the injury bug.